With Aussie Farmers Direct crushed by Woolworths and Coles, there was one thing that AFD gave us that the big two could never touch. An introduction. 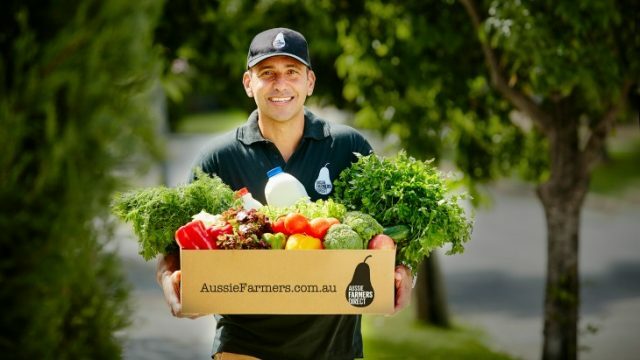 The news of Aussie Farmers Direct, the little guy who waved a white flag of difference in the supermarket war, was crushed by the larger armies that fought it, met me with a pang of very personal sadness. Not just because another entity was swallowed by the two mega empires, but because I worked for that now-obsolete entity. In fact, it was my first job when I came to this country. As your stereotypical sunburnt and ambitious Brit, AFD seemed to fit. It was a job available, a job that no local truly wanted. It was the lazy truism that held us, we were the others, a Potemkin collection of those who wanted to be part of a new country, or just part of a new workforce. What Australian Farmers Direct represented, was an opportunity for a wide collection of people that the larger scope of Australia didn’t really pay much mind. The struggling farmer, the struggling citizen, the struggling backpacker alike. There was a deeper aspect to it, as for myself (and the others personally) it served as a connection, a bridge between two nations. We wanted to learn about Australia, but we had to do so by working. Fruit picking was not ideal, nor was the outbound hawking of whatever. Unlike the pile of soulless marketing positions available, AFD had a point, which, being under the employ of, it became yours. You were helping people you’d never meet, sure, but you were helping the citizens of the nation you hope to one day be a part of. Yes, there was the standard furious exchange of booze, revelry and what you’d expect from a job you’d do in a foreign land under the age of 25, the idea of getting up and potentially helping someone get one over the establishment made your hangover tolerable. In the years since, I’ve since decided to stay. Stepping ever closer to Australian citizenship, something I’ve coveted since my feet met sand. In no small way, my stint with AFD lead me down the path of naturalisation, and today I feel the loss of the opportunity that people like myself was afforded to learn about this expansive continent, good, bad, warts and all. What a ride it was. Vale, Aussie. Natalie is a wine enthusiast who suffers from a full blown case of Vorfreude, which makes her feet continually itch. Currently loving Spain, but she doesn't know for how long.